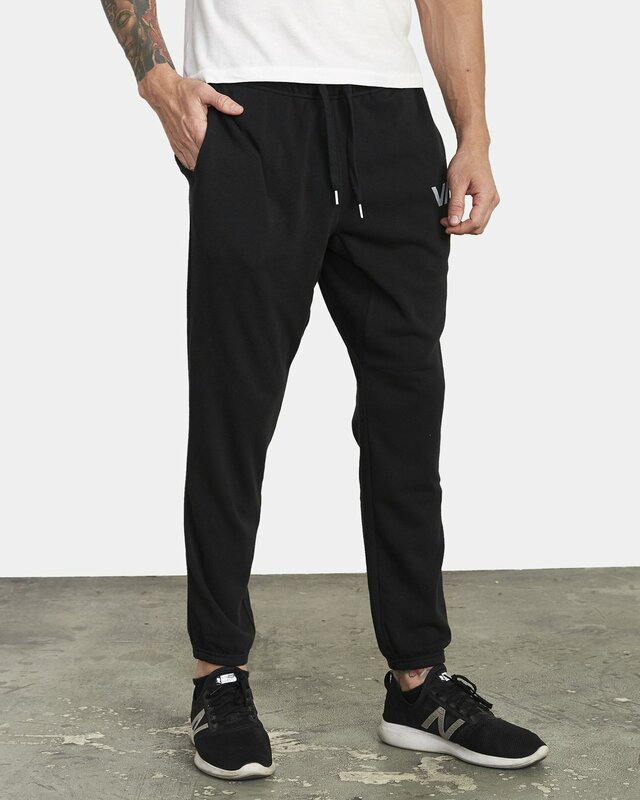 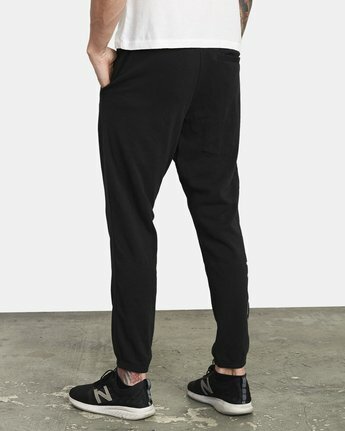 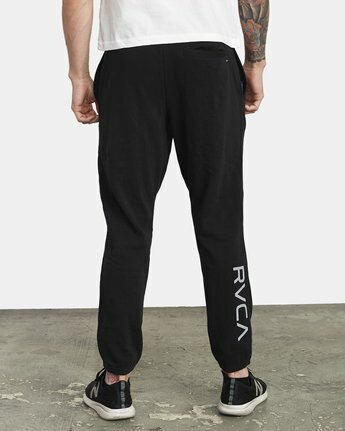 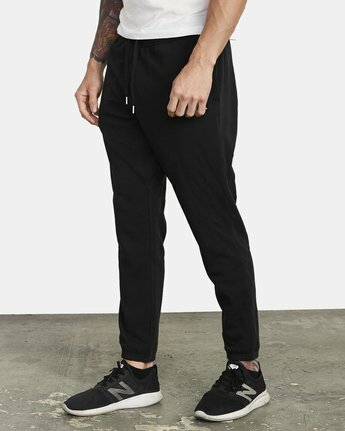 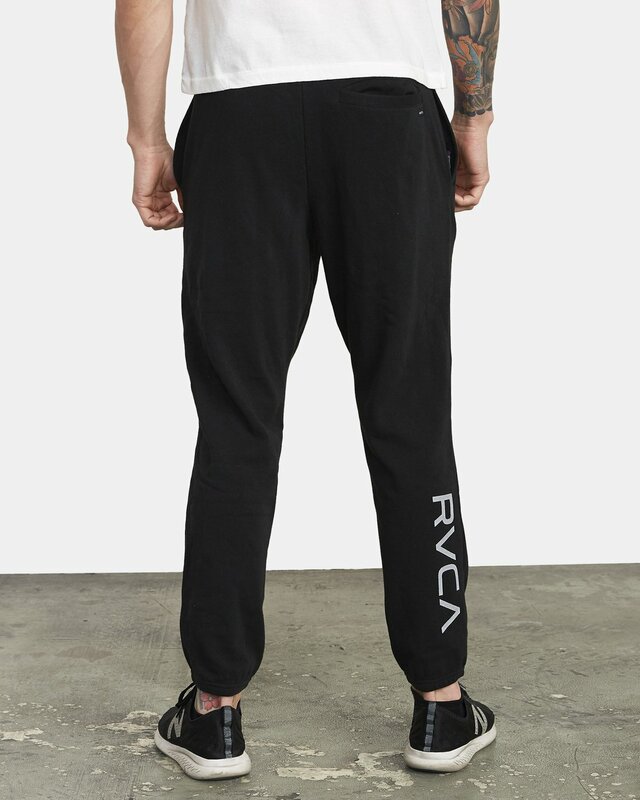 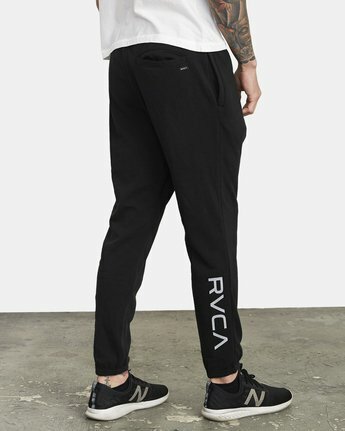 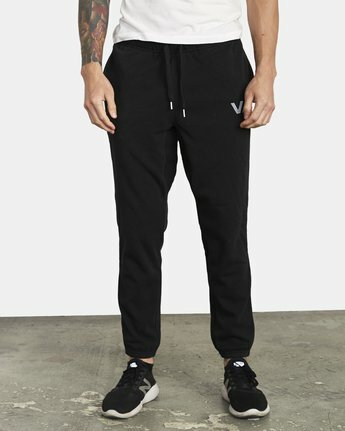 The Swift Sweat Pant is a cotton-blend fleece sweatpant with an elastic waistband, shrink wrapped drawcords, and front welt pockets. 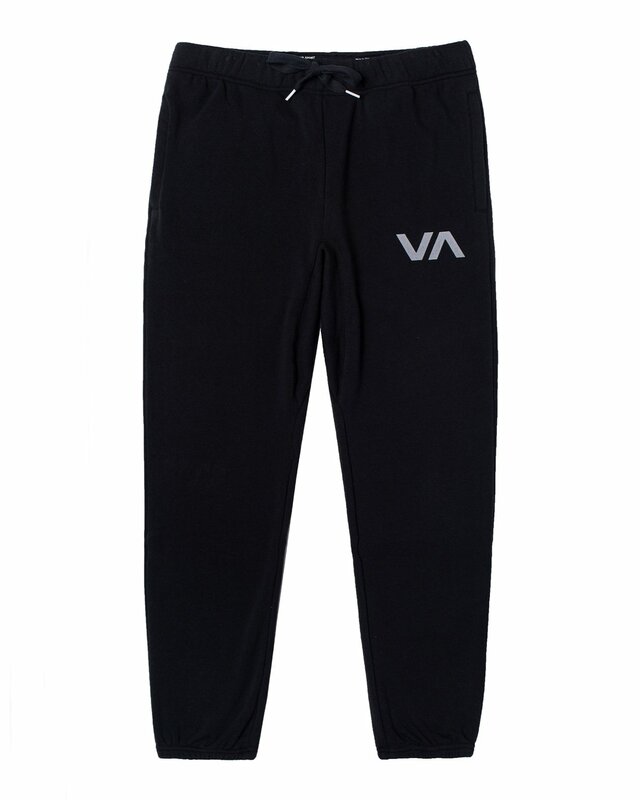 It has a relaxed fit at the hips and thighs and a tapered skinny fit through the legs. 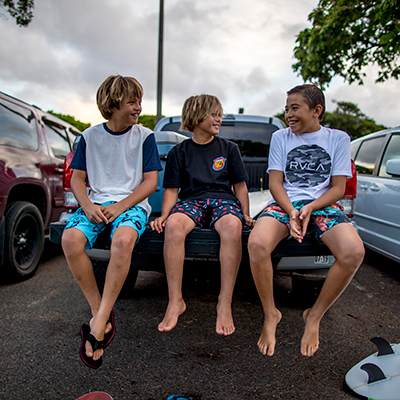 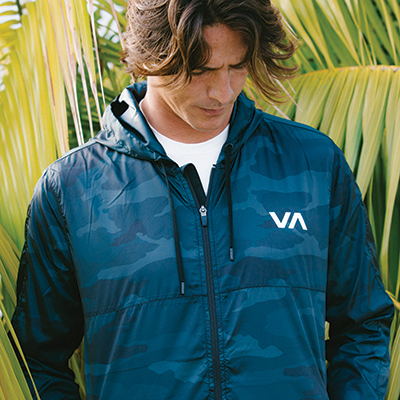 It's finsihed with reflective VA print at the wearer's left thigh, a RVCA print at the wearer's back right leg, and a single welt back pocket.